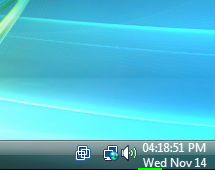 See the date as well as the time in your tray clock in a way you want. Monitor your computer's performance with CPU and memory load indicators. Click the clock to open 1- or 2-months calendar view. View the time in selected time zones. Benifits including: see the date as well as the time in your tray clock. Find today's date with a glance! Specify what and how to display in the clock area, select any color, size, font and background. *1st Clock Classic is fully compatible with Windows Vista and supports both 32- and 64-bit versions of Windows. *Monitor computer's performance with CPU and memory load indicators displayed right in the tray clock. *Check the time in selected time zones. 1st Clock Classic lets you view time in selected time zones when you hover your mouse over the tray clock. *Use 1st Clock Classic as a desktop clock if you wish. You can undock 1st Clock and put it anywhere on your desktop. *Copy date and time to the clipboard. ImageClock for PalmOS(R) is an attractive Image-based Analog clock. AdultClock for PalmOS(R) is an exotic Image-based Analog clock. Qweas is providing links to 1st Clock Classic 4.0 as a courtesy, and makes no representations regarding 1st Clock Classic or any other applications or any information related thereto. Any questions, complaints or claims regarding this application 1st Clock Classic 4.0 must be directed to the appropriate software vendor. You may click the publisher link of 1st Clock Classic on the top of this page to get more details about the vendor.